Fire pits as attribute of landscape design. oday the landscape design has a tendency to arrange private gardens and yards in countryside with fire pits. Functionally this element of landscape architecture is very useful because it provides an opportunity to make live fire outdoors at convenient time without damage of grass and thus it is interesting way to decorate the surrounding landscape. Fire pits help to create romantic atmosphere in your garden and to some extent bring us closer to the origins – to antiquity, when primitive men whiled away the evenings by the fire. Fire pits can be made of different materials and have the most diverse design, which greatly facilitates the search of right model for particular garden. Among the diversity, what is represented on the landscape market, greatest popularity have stone fire pits, mainly from granite. Usual colors of such products are black or gray-blue, but the texture of the individual fire pits depend of the creative ideas of masters, so they can be radically different. 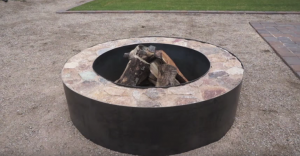 You will like interesting fire pits of galvanized steel coated with polymer coating. These landscape-architectural items look impressive and even elegant. In addition, they, unlike stone ones, weigh a bit and therefore portable. Many of the steel fire pits are equipped with special features that allow you to cook food on the fire. 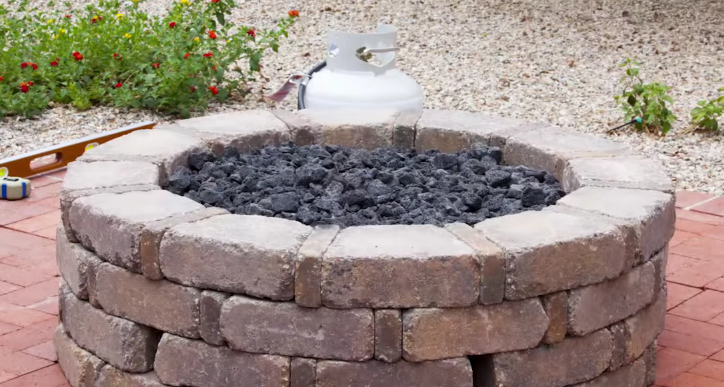 For such purposes can be used wooden, gas or propane fire pits. Fire pits are designed for ease of organizing the outdoor fire pit. Such fire pits have stands and mesh covering.